I don’t watch a lot of Japanese wrestling. Not because I don’t like it or I don’t care. It’s just there are only so many hours in a week, and habitually I’ve always watched American stuff. Obviously the emphasis has been on WWE stuff. 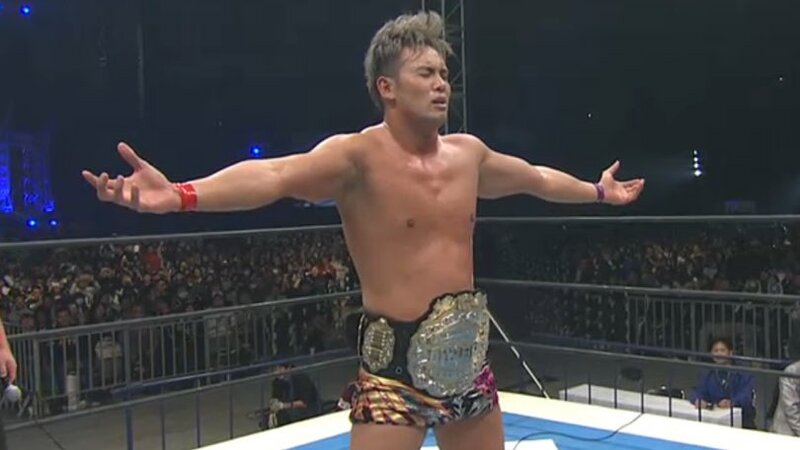 But the buzz about the Kenny Omega/Kazuchika Okada match from this past week’s Wrestle Kingdom 11 has been so phenomenal that I couldn’t resist. Wow. From a presentation standpoint, what a breath of fresh air. The respect shown to the actual wrestling was such a contrast to what we see on Raw and Smackdown. 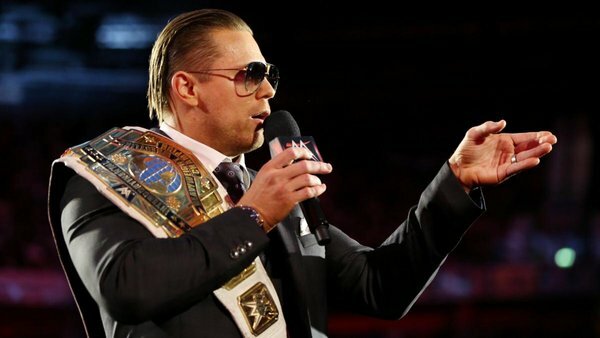 I’ve never been of the mindset that WWE should be presented the way MMA is, with the entertainment element nixed. But people also know that they’re watching a wrestling show. So why downplay the wrestling? Why not dive into the wrestling element? Tremendous work by Kevin Kelly and Steve Corino at the announce booth. The match itself was supremely athletic. They beat the crap out of each other for about 45 minutes. In particular, that back drop Omega took out of the ring through the table was brutal. He looked like he landed right on his tailbone. And that suplex Okada took off the top toward the end? He landed right on his damn head. How either of these guys are still walking, Okada in particular, is beyond me. And of course, you had Omega’s constantly going for the One-Winged Angel but never getting it. Great stuff. Some fans have said this was the greatest match they’ve ever seen. 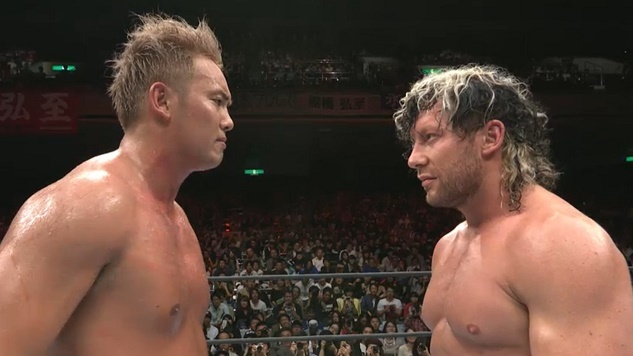 Dave Meltzer gave it six stars, saying Okada and Omega may have put on “the greatest match in pro wrestling history.” I can’t say I agree with that. But it was a hell of a match, a hell of a story, and a hell of a spectacle in front of all those Tokyo Dome fans. If you’ve never seen a NJPW show, I’d highly recommend Wrestle Kingdom 11, this match in particular. It sets the bar pretty high. But this is what pro wrestling should be about. An attempt to start the US Title Match featuring Roman Reigns vs. Kevin Owens and Chris Jericho escalates into a brawl with Braun Strowman. Seth Rollins saves Reigns. Stephanie McMahon makes Rollins vs. Strowman. The highlight of this segment? Rollins busting out a Van Daminator on Strowman. Happy to see the big guy pissed off after the double spear last week. Seth Rollins vs. Braun Strowman goes to a double count-out. Like Sami Zayn, Rollins was able to use his experience and relatively smaller size to make Strowman look good. To his credit, Rollins looked more credible against the giant than Zayn did. He’s so damn explosive and athletic. But like everyone else, he looked like he was running into a brick wall when put against Strowman. Jack Gallagher def. Drew Gulak. Loved the sound of that clothesline Gulak gave Gallagher from the second rope. Ouch. 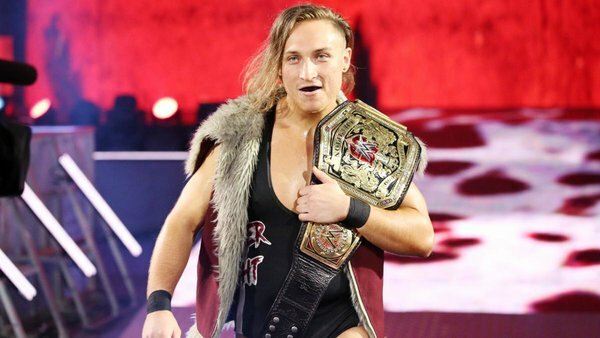 Gallagher is emerging as one of the stand-out personalities in the Cruiserweight Division. Key word: Personality. (For my money, the others would be Neville and Rich Swann.) I’m not sure if the crowds are quite with him yet, and that particular post-match promo wasn’t the greatest. But he’s got something. Shawn Michaels gets interrupted by Rusev, Lana, and Jinder Mahal. Enzo and Cass come to his aid. I can’t help but smile when Shawn’s music hits. Call me a mark, but he’s such a damn star. Not the smoothest segment they’ve ever done. But Shawn, Rusev, and Enzo are all very natural out there. So it still came off fairly well. And it was fun to see them ad lib. Big Cass def. Jinder Mahal. This whole match was about one thing: The super kick. We spent the whole match waiting for it. It must have been really cool for Rusev to take that. There was some buzz during the fall that Shawn was going to come out of retirement to face AJ Styles at the Rumble. As much as I love Shawn, I don’t ever need to see him in the ring again. Let the impetus be on the current stars to match what he created. Neville def. Lince Dorado. Rich Swann saves Dorado from a beatdown. Really good showing from Lince Dorado early on here. This guy has been around since the division restarted, but I still don’t have much of an impression of him. Despite the loss, this was a good night for him. Swann showed some great fire out there. He and Neville have an nice hero/villain dynamic. I’m looking forward to the inevitable title match. Sheamus def. Luke Gallows. I turned the volume down when I saw Cesaro was joining the announce position. Not because I wasn’t interested in hearing him, but because we already had Karl Anderson joining our usual three talking heads. You can argue three guys are already too much. Four is ridiculous. And five? I’m out. Gallows may have lost tonight, but I’m still not over the novelty of Anderson getting a singles win last week. Over Cesaro, no less. 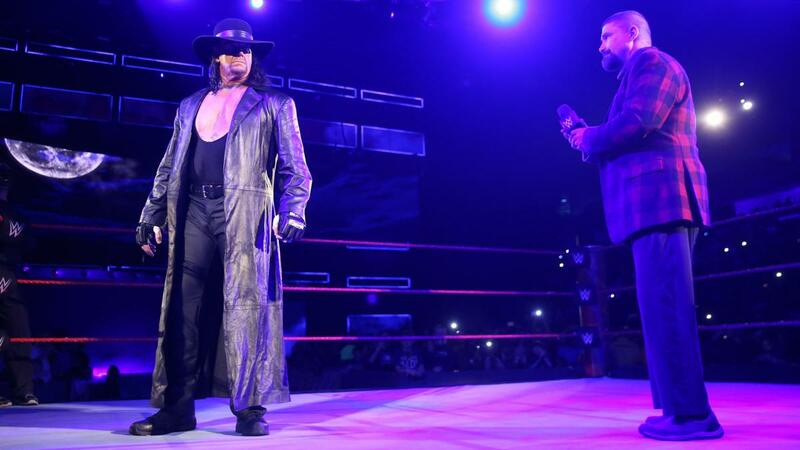 The Undertaker announces his entrance into the Royal Rumble Match. Listen to the crowd during this segment. They all chanted his name in unison. Why the hell wasn’t this the main event? So he says “No one controls the Undertaker,” then he walks over to Stephanie and says: “No one.” I assume that was scripted. But it’s a hell of a lot more fun to imagine it wasn’t. They seemingly tipped their hand by showing us Braun Strowman backstage during this promo. There was a buzz about Strowman facing Undertaker at Wrestlemania last year. Is that back in the cards this year? Alicia Fox surprises Noam Dar with a kiss backstage, remarks that he “can’t handle a real woman.” The “real woman” line seemed lost in the shock of the kiss. She obviously insulted him, but it definitely seems like she’s playing Dar and Cedric Alexander against each other. Kofi Kingston def. Titus O’Neil. Before the match, the New Day had Titus try and carry a keg around the ring in less than 12 seconds because…he fell down when he tried to do it in 2010? No thanks. Kevin Owens and Chris Jericho def. Roman Reigns in a handicap match for the United States Title. Jericho is declared champion. This probably would have had more of a punch if they’d done it earlier. But whatever. At least they finally made a change instead of essentially giving us the same US Title Match over and over. Now watch them have Roman exercise his rematch clause against Jericho next week. This entry was posted in Wrestling and tagged Alicia Fox, Bayley, Big Cass, Braun Strowman, Cesaro, Charlotte Flair, Chris Jericho, Enzo & Cass, Japan, Japanese wrestling, Jinder Mahal, Karl Anderson, Kazuchika Okada, Kenny Omega, Kevin Owens, Kofi Kingston, Lince Dorado, Luke Gallows, Neville, New Japan Pro Wrestling, Nia Jax, Noam Dar, pro wrestling, professional wrestling, Rob Siebert, Roman Reigns, Royal Rumble match, Rusev, Sasha Banks, Seth Rollins, Shawn Michaels, Sheamus, Stephanie McMahon, The New Day, The Undertaker, The Undertaker vs. Braun Strowman, Titus O'Neil, Wrestle Kingdom, Wrestle Kingdom 11, WWE, WWE Monday Night Raw, WWE Raw, WWE Raw results, WWE Royal Rumble, WWE Royal Rumble 2017 on 01/10/2017 by primaryignition.